The word inventory can mean two things: the act of making simple inventory (checking the items in stock) or the document which includes a complete list of everything you need to consider (e.g. goods, equipment, behavior, attitude, etc). An inventory is a tool which primarily helps one find certain items which needs consideration. 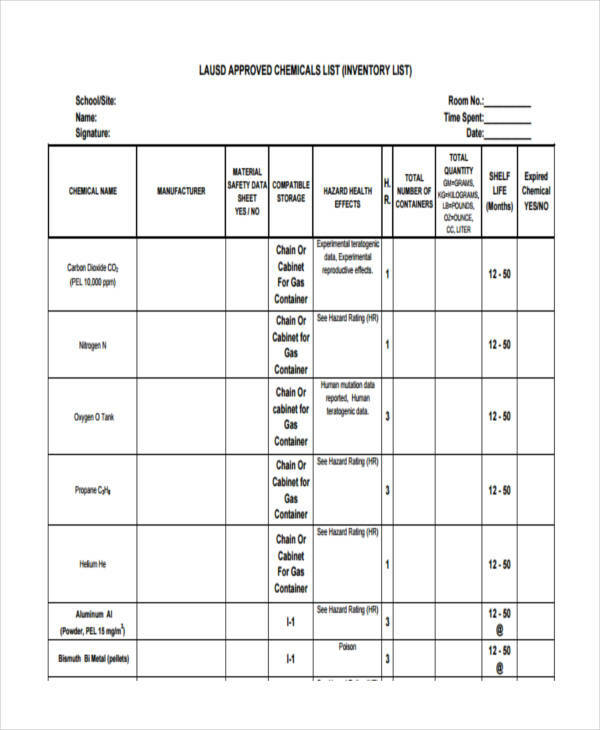 A company staff, typically assigned to conduct an inventory, makes an inventory list of things a company has, such as goods in stock, raw materials for production, workforce or manpower, equipment for production, etc. Here, we will discuss about a blank inventory, and the basics of making one. What Is a Blank Inventory? A blank inventory, in the simplest sense, is not a blank piece of paper, but an inventory which is not yet filled up with items (which makes it blank). 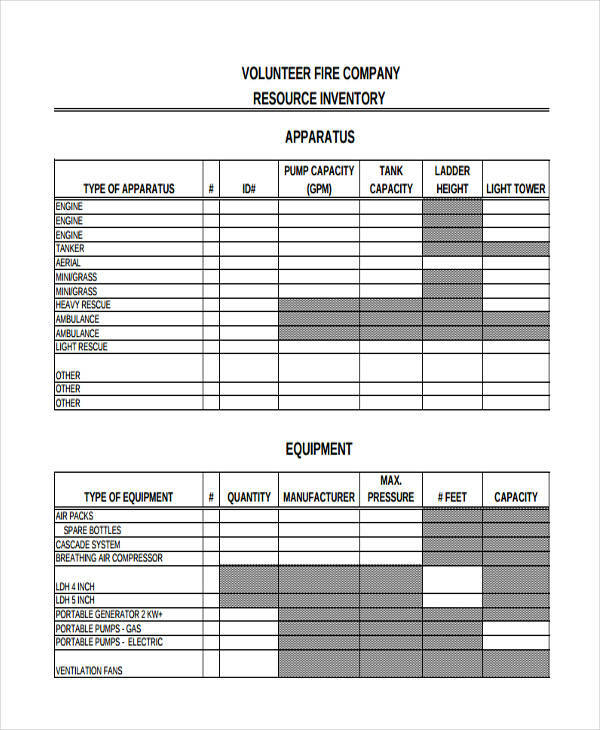 When an employee is tasked to make an inventory example of a company’s storage, he/she needs to have a blank inventory where he/she lists all the company items he/she observes in the storage or stock room of the company. 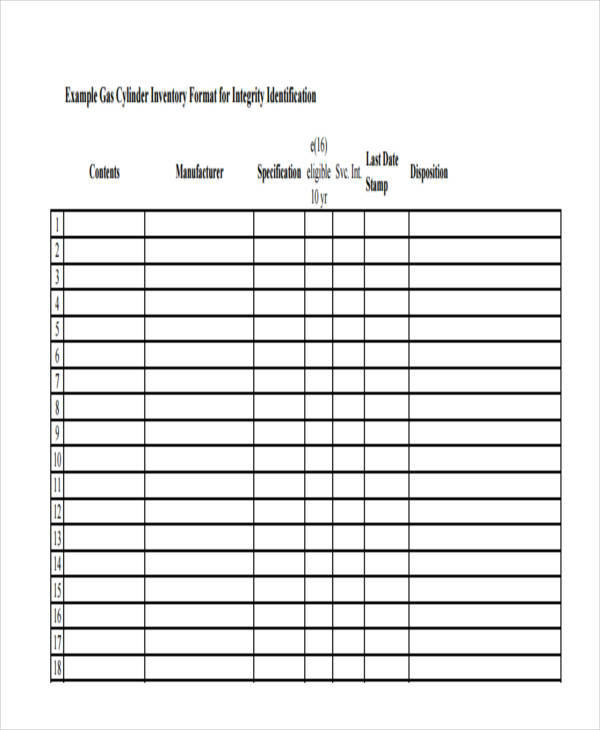 At times, a blank inventory may already contain a list of items and the tasked employee will have to check if the items are available. If you’re a business owner or an office manager, you need to keep track of your stocks. Thus you need to conduct an inventory from time to time. This is a critical process where you need to monitor the items to identify the overall status of your business. 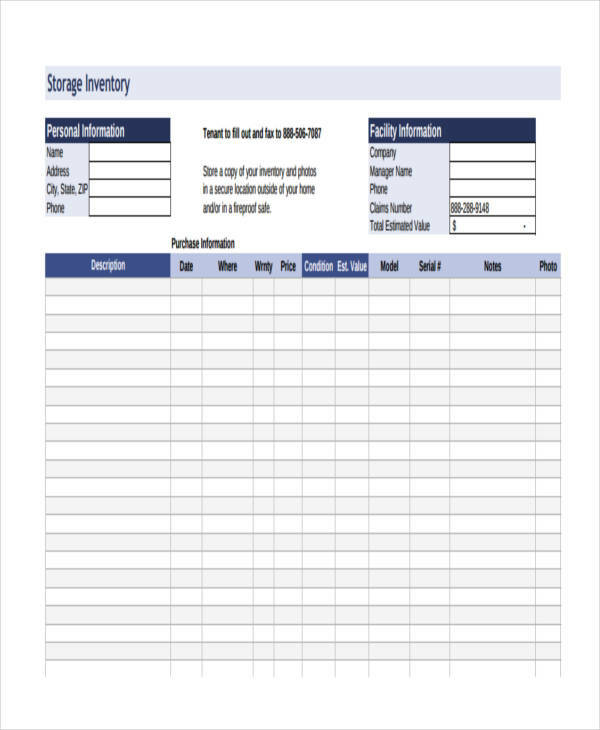 A blank inventory is an important tool in keeping track of the stocks inside, outside (those that are shipped out), and those that are going in your storage area. Furthermore, it helps one organize the stocks and other items (e.g. raw materials, equipment, etc) in your company. 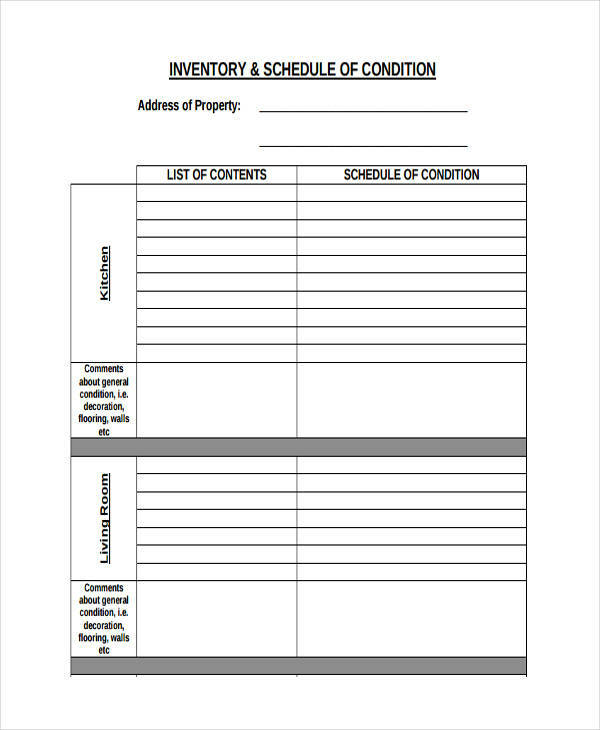 A blank inventory needs to be filled up with caution. It is vital in identifying the items companies use on their day-to-day operations. However, writing a blank inventory is confusing and tiring at the same time. So I’ve listed some basic guidelines in writing a blank inventory. Consider and familiarize all the items listed in the inventory. Make a sketch of such items or include detailed descriptions of each items in your inventory. 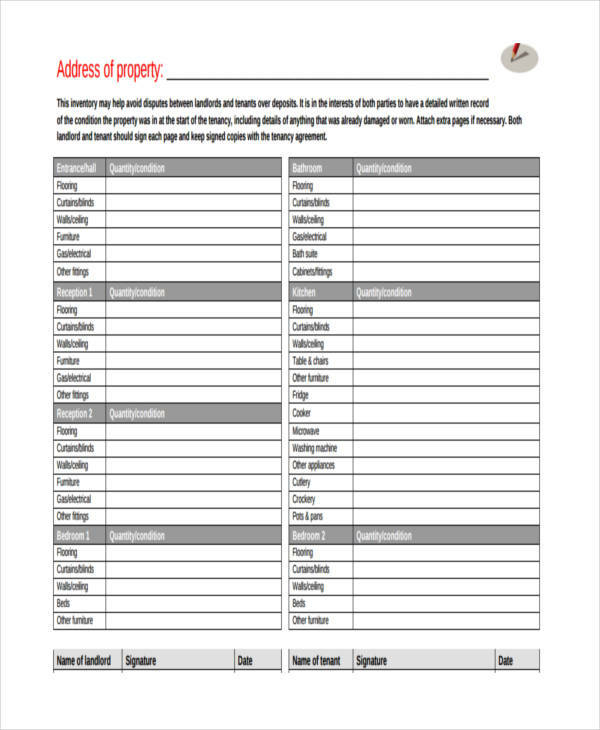 If your inventory does not list the items, you can refer to data inventory, for guidance. Understand how to use your inventory list, or the procedure of conducting an inventory. Make a note of the important points to remember. Categorize the items on your list for easy identification. For example, categorize the items made with the same material (e.g. chairs and tables made of wood). You can also arrange the item names in alphabetical order. Make sure your inventory is organized so you don’t get confused. 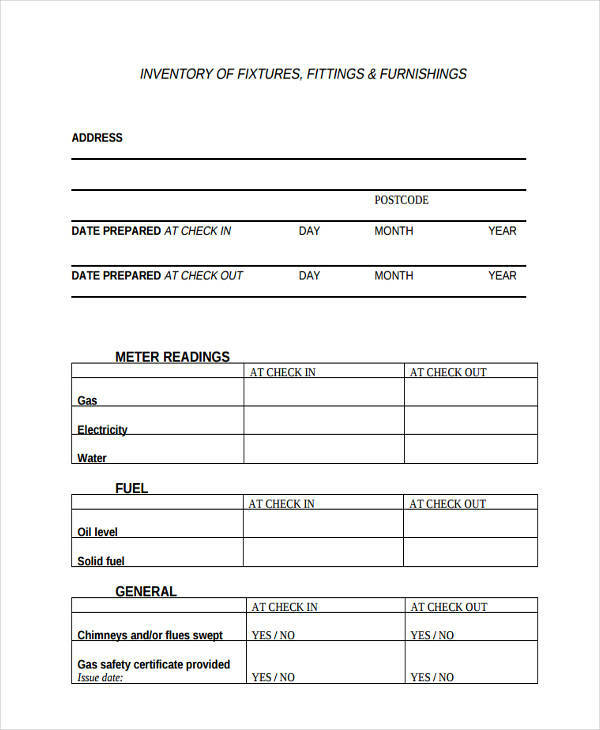 Note the date and time you prepared the inventory list or conducted the free inventory, and carefully count the number of each items. Recount each items, to be sure. Write the numbers and other remarks legibly. Review the items listed on your inventory. Make sure you have checked and recounted every item you’ve listed. Make sure your record is accurate.